Here are two strong reasons why you should do everything you can to buy a gun, get training and secure a Concealed Weapon Permit so you can carry a gun with you everywhere you go. The first is a jail house interview with a thug who recently shot two men simply because they didn’t have a cigarette to give him. That’s right. No cigarettes so he “went in dat mode” and killed them by shooting them repeatedly in the torso and head. What you need to recognize is this can happen to anyone at any time. It could have happened to you. You carry a handgun EVERYWHERE YOU GO because it is light weight, portable and can always be on your person as an emergency defense tool. Just like a life jacket in a boat or a seatbelt in a car- you wear it hoping you never have to use it, but if you do, it is the only piece of equipment that will save you! Also note what a classic sociopath the killer is. The enablers of the world will blame his actions on a lack opportunity, an abusive mother, no father figure, gang influence, drug abuse, learning disabilities, violent video games, etc. They can blame it on whatever they want. The fact of the matter is he is a cold blooded killer who took two lives and there are thousands more like him who will do the same thing if given the chance to do so by those who actively seek to disarm law-abiding citizens- leaving the balance of power on the street in the hands of people who will kill for lack of a couple of cigarettes or pocket cash. 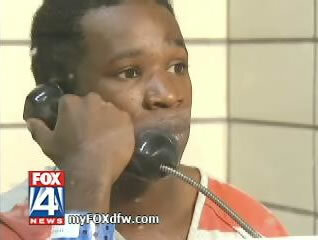 Watch this very revealing jail house interview. Although there is profanity throughout the interview, I believe every member of your family over the age of 16 should watch this interview as a reality check of the type of murdering sociopaths walking the streets of every city across the county. 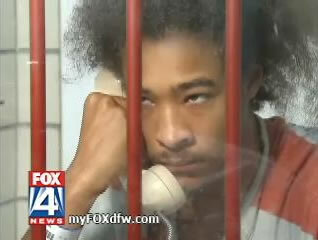 Click Here to see the First VideoHere is the partner of the cold blooded killer being interviewed. Note how the killers set the victims up by driving by, then coming back to speak with them as the victims were locking up the studio, engaging the victims in conversation with the intent to rob them at gunpoint. Had the victims understood and adopted the Color Code of Mental Awareness and Combat Mindset that I share with you in my Free Gun Training Reports #’s 8, 9 and 10, they would still be alive today. Also very revealing is his statement that he found out after the killing that one of the victims had a permit to carry a gun. If this is true, then let me say it again: You carry a handgun EVERYWHERE YOU GO because it is light weight, portable and can always be on your person as an emergency defense tool. Just like a life jacket in a boat or a seatbelt in a car- you wear it hoping you never have to use it, but if you do, it is the only piece of equipment that will save you! Click Here to see the Second VideoYou have just watched the reality of the streets in every major city in the country. So if you you don’t have a gun, training and a 30 State Concealed Weapon Permit, then a world class Front Sight training experience and a free Springfield Armory XD Pistol, awaits you with Front Sight’s Greatest Course, Gun and CCW Permit Offer Ever.